Snapchat is a popular mobile app that allows users to send and receive videos and pictures for 1-10 seconds. You can add a Snap Story that is a 24 hour collection of stories that you choose to broadcast to the world or your followers. Snapchat has 150 million daily users .Snapchat can be a beneficial tool for businesses wanting to promote and expand their brand. Here are 5 ways to use Snapchat for business to promote your brand. Consumers love to get discounts and deals, using Snapchat to offer deals and discounts is a great way to help your business. You can also use Snapchat to offer promo codes. The Frozen yogurt company 16 Handles, rewards followers with discounts when they share a Snap of themselves eating their yogurt. The company Grub Hub is another example of this. They use Snapchat to offer deals, discounts, and promo codes as well. Incentives are a marketing strategy that has been proven to work in social media.Everyone loves giveaways and sweepstakes, so strategically think of ways to keep your consumers coming for more.The company Grub Hub is a great example of this. 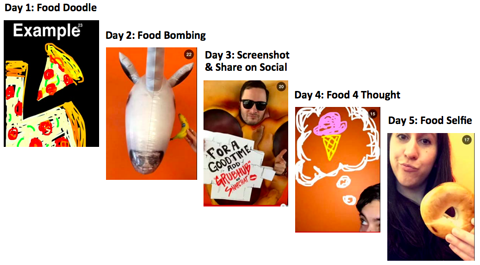 Grub Hub uses a variety of contests and were the first brand to create a Snapchat Scavenger Hunt. They launched a five day campaign and asked their followers to a daily snap of a food or doodle selfie. This campaign showed their personality and created two way communication between consumers and the brand. 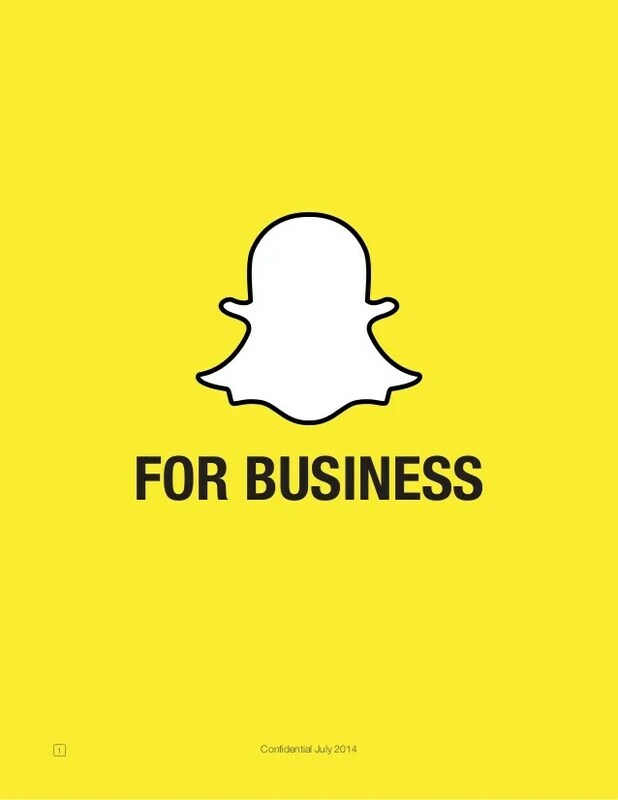 Snapchat allows you to go behind the scenes of your business. This will help consumers feel more personal with your brand. This helps to create and engage a strong following of your brand. This can be really fun for your business to create as well as the followers to see it and interact. The fashion brand Sophia Webster has been featuring behind the scenes stories on their Snapchat. They snap life behind the scenes with their team. Sophia Webster regularly posts updates on what each of its employees is wearing. All of their content is designed to encourage fans to come back. Question and answer sessions are an interactive way to get followers to engage with your company. This can be a great tool for customer service. Snapchat is a casual tool that can immediately give consumers the information they need. Some customers may feel more comfortable asking questions on Snapchat during a Q&A session.Since the content on Snapchat quickly disappears, it encourages quick replies and reactions from users. You can ask your audience if they have questions about your brand.When using Snapchat for Q&A sessions make sure that you are professional and friendly.